Read more about Kiếm Khách VNG on our blog! Ride free across the land. Walk freely in this amazing MMORPG universe as you manage to go through difficult quests and a scenario filled with horses, rivers, hills and mountains in an incredible adventure that only those who dare to face can describe themselves as the brave ones. Wander from land to land and have a taste of real 1 versus 1 combat in breathtaking battlefields. 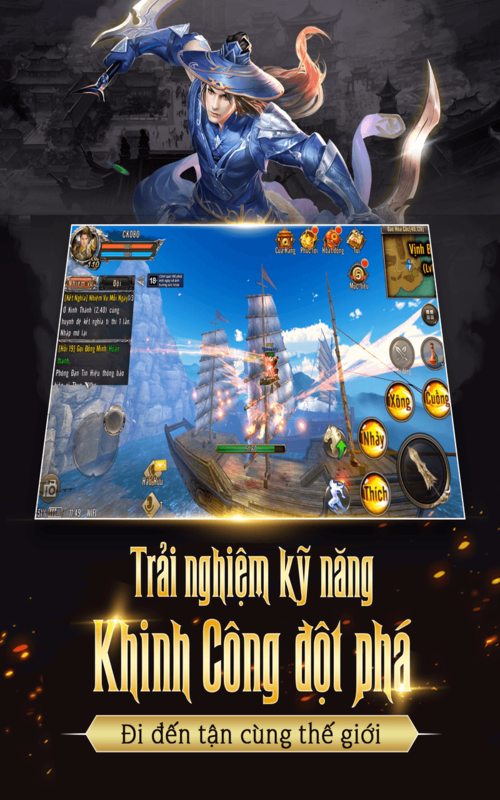 Play Kiếm Khách VNG on PC and MAC with BlueStacks Android Emulator and have a real taste of this amazing experience as you take your gaming to a higher level and enjoy maximum freedom in a much more satisfying gameplay. Are you up for this ride? You better reunite all your braveness and skills to overcome the situations that upon your destiny. But be prepared: it is not going to be easy. But we might just be able to help you out. 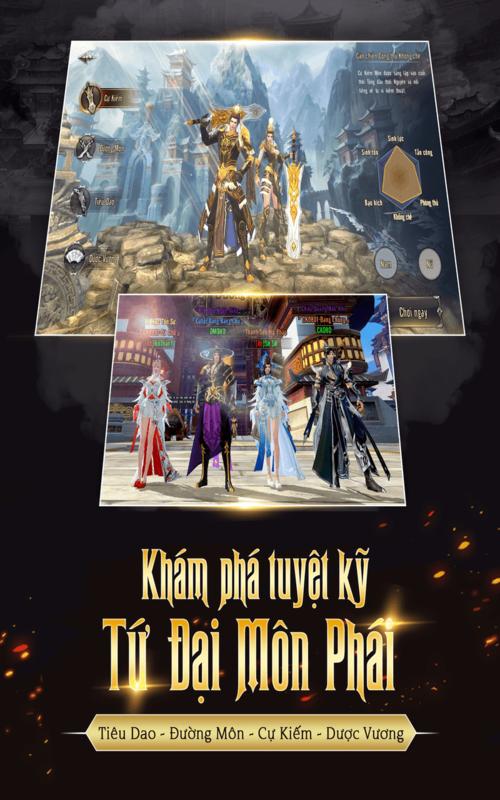 Download on Kiếm Khách VNG on PC with BlueStacks Android Emulator right now and put your integrity and tactical abilities to test! 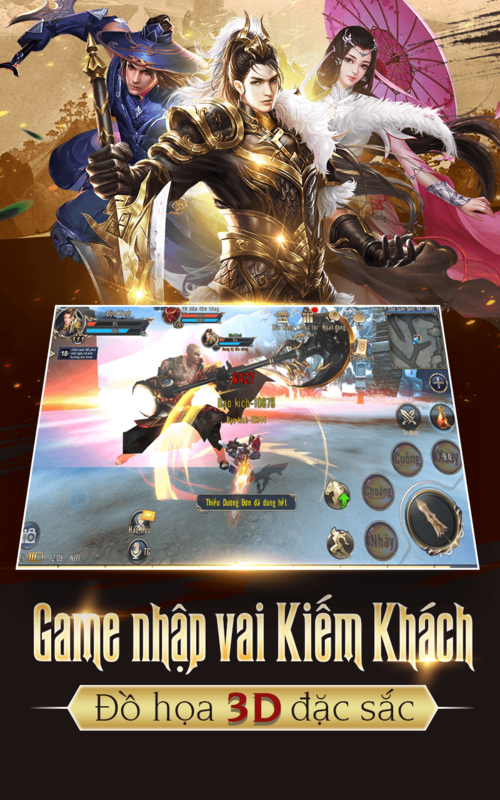 Why play Kiếm Khách VNG on Bluestacks? Play Kiếm Khách VNG. Redeem your BlueStacks Points. Get rewards! Kiếm Khách VNG on BlueStacks comes with a default Keymapping, created based on feedback gathered from experienced gamers to ensure an optimal gaming experience. 6 You're all done! 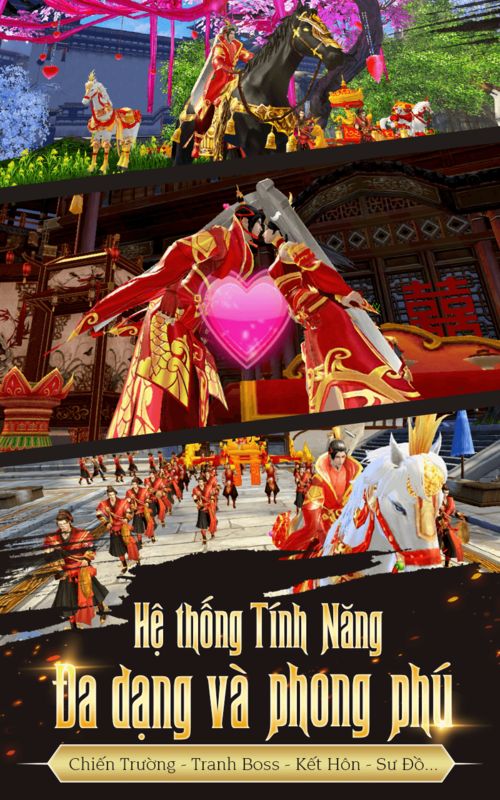 Enjoy playing Kiếm Khách VNG on your PC. You are about to enter a world of fantasy where only the strongest and more perseverant are going to make their way to assume a legend role. It’s not an easy task and any help you can find is more than welcome. Well, we have something for you, and it is called BlueStacks! 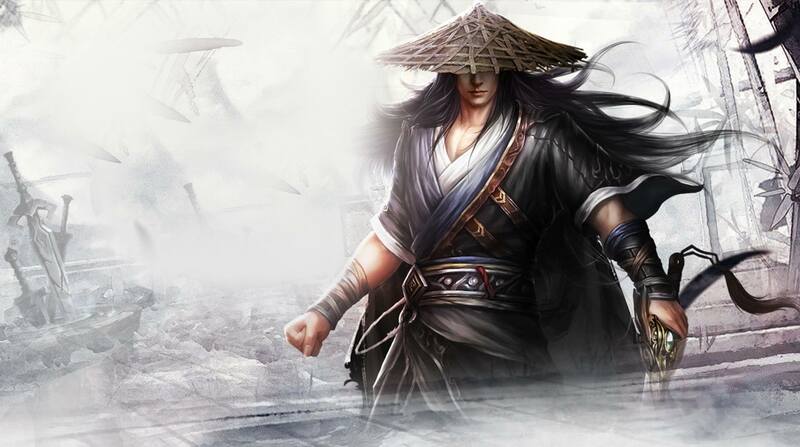 Download Kiếm Khách VNG on Windows 7, 8, 10 with BlueStacks Android Emulator and take your gaming to a higher level! Have full control of your actions and forget about clumsy commands playing with all the ease of the mouse and the sharpness of the keyboard keys. Ditch the tiny screen and enjoy the amazing graphics and visuals on the big screen of your PC. Leave aside those pricy data plan and play with a much more stable internet connection. Download any app or game available on Google Play just by signing in to your Google Account and looking for what you want on the search box. Have the experience you always wanted. 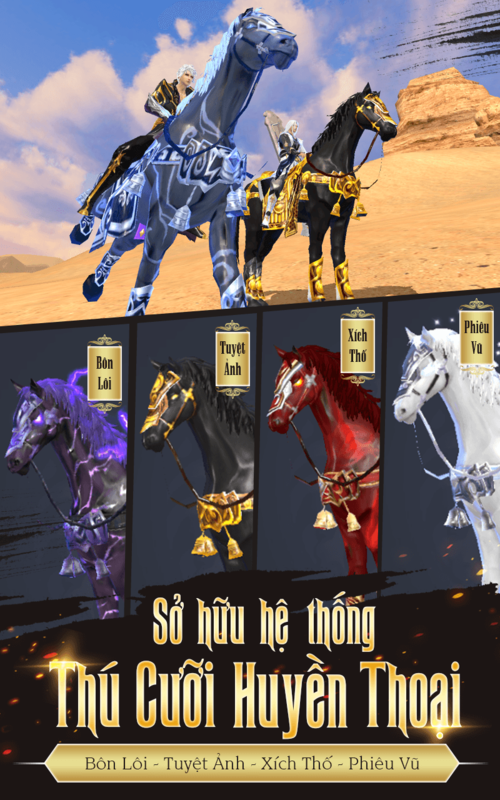 Play Kiếm Khách VNG on PC with BlueStacks Android Emulator right now! There is no way you are going through such difficult tasks to keep you success only for yourself, correct? Of course not. And you shouldn’t! Download Kiếm Khách VNG on PC with BlueStacks Android Emulator and broadcast your progress to the entire world with just one click, via Facebook Live, Twitch.TV or any other social network of your preference. Enjoy ultimate gaming experience right now, interact with other players, share your skills and wisdom and even learn some new tricks with other people in a brand new gaming community. Play Kiếm Khách VNG on PC with BlueStacks Android Emulator and bring social back to gaming with your own hands!